In Wormwood 26, admired writer of the fantastic Colin Insole draws attention to the range and power of Kipling’s stories of the strange and supernatural. There are at least a handful (of Kiplings eerie tales) that might stand among the most effective in the field. 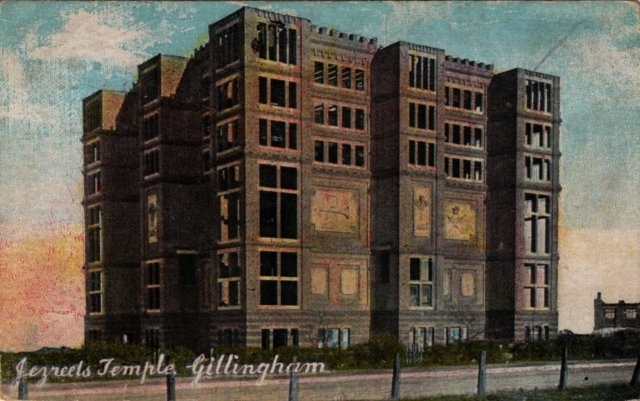 And as well as their strong traditional storytelling qualities, Colin notes that aspects of Kipling’s tales anticipate modern developments in the literature of the supernatural, later found in the work of Shirley Jackson or Robert Aickman. The stories explore states of dream or delirium and can also be psychologically acute. If anybody ever merited the appellation, “man of the world,” it was Patrick Lafcadio Hearn. Born on the Aegean isle of Lefkada to a Greek mother and an Irish father, he spent most of his childhood in Dublin before emigrating to the United States at the age of nineteen. As a newspaper writer in Cincinnati, Hearn became known as both an accomplished muckraker and a tireless friend of the downtrodden and marginalized. Hearn’s aggressive free-thinking and love for the disenfranchised wasn’t just a professional matter, either, for his first wife, Alethea Foley, was a black woman— more than simply unconventional, their union was actually illegal in Ohio at the time! But it was in New Orleans, to which he relocated (apparently without Foley) in 1877, that Hearn discovered his greatest talent. Writing first for a succession of newspapers and later for Harper’s Weekly and Scribner’s Magazine, he developed into a folklorist and ethnographer of exceptional ability. He wrote on Voodoo, Creole dialect and cuisine, and all manner of topics that might be placed under the heading of New Orleans folkways, and then repeated the performance in the West Indies a few years later. Finally, in 1890 (and now we begin closing in on the actual point of this ramble), Hearn made a fateful journey to Japan as a newspaper correspondent. The official assignment lasted only briefly, but Hearn’s sojourn in the Land of the Rising Sun would consume the remaining fourteen years of his life. They say there are only so many stories to tell, just different ways to tell them. 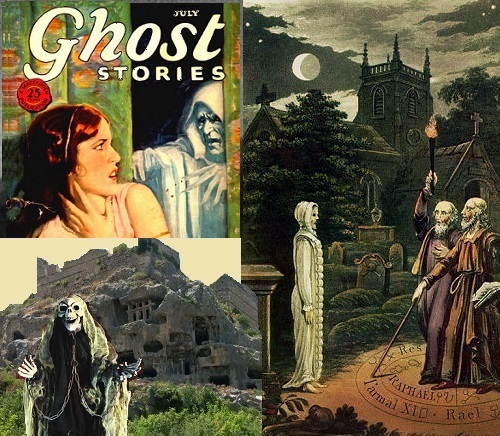 Take the classic ghost story about a spirit that cannot rest until something or other is resolved. I never realized how old that story was until I saw this. Pliny the Younger was an elected official in ancient Rome. He and his uncle, Pliny the Elder, were both witnesses to the eruption of Vesuvius in the year 79 AD. The elder Pliny was killed during the eruption while attempting to rescue some friends by boat. Pliny the Younger was also an author who wrote hundreds of letters that have survived to this day. His letters have enabled historians to learn much about ancient Rome. One of the earliest non-Biblical references to Christianity is in a letter from Pliny to the Greek Emperor Trajan, asking for advice on how to conduct trials for Christians (most likely for the crime of not bowing to statues of the Emperor). Pliny follows up his question with two stories. The first story is about a man who sees a vision of a beautiful woman who accurately predicts his death. There was at Athens a large and roomy house, which had a bad name, so that no one could live there. 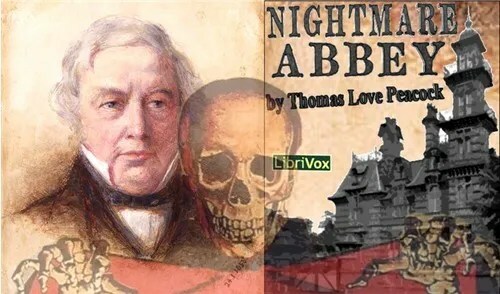 In the dead of the night a noise, resembling the clashing of iron, was frequently heard, which, if you listened more attentively, sounded like the rattling of chains, distant at first, but approaching nearer by degrees: immediately afterwards a spectre appeared in the form of an old man, of extremely emaciated and squalid appearance, with a long beard and dishevelled hair, rattling the chains on his feet and hands. The distressed occupants meanwhile passed their wakeful nights under the most dreadful terrors imaginable. This, as it broke their rest, ruined their health, and brought on distempers, their terror grew upon them, and death ensued. The ghost slowly stalked along, as if encumbered with its chains, and, turning into the area of the house, suddenly vanished. Athenodorus, being thus deserted, made a mark with some grass and leaves on the spot where the spirit left him. The next day he gave information to the magistrates, and advised them to order that spot to be dug up. This was accordingly done, and the skeleton of a man in chains was found there; for the body, having lain a considerable time in the ground, was putrefied and mouldered away from the fetters. The bones being collected together were publicly buried, and thus after the ghost was appeased by the proper ceremonies, the house was haunted no more. You can read the entire letter, and all the letters of Pliny the Younger, here at Project Guttenberg. For the “ghost letter” scroll down to LXXXIII — To SURA. In a contribution to a mailing of the ghost story correspondence society The Everlasting Club (new members welcome), the eminent anthologist and scholar of the field Richard Dalby revealed his researches into the little-known author of a single Jamesian tale, ‘Dr Horder’s Room’. This was Patrick Carleton, whose story of the malevolent spectre of a Cambridge Master of College was published in the anthology Thrills (Philip Allan, 1935). 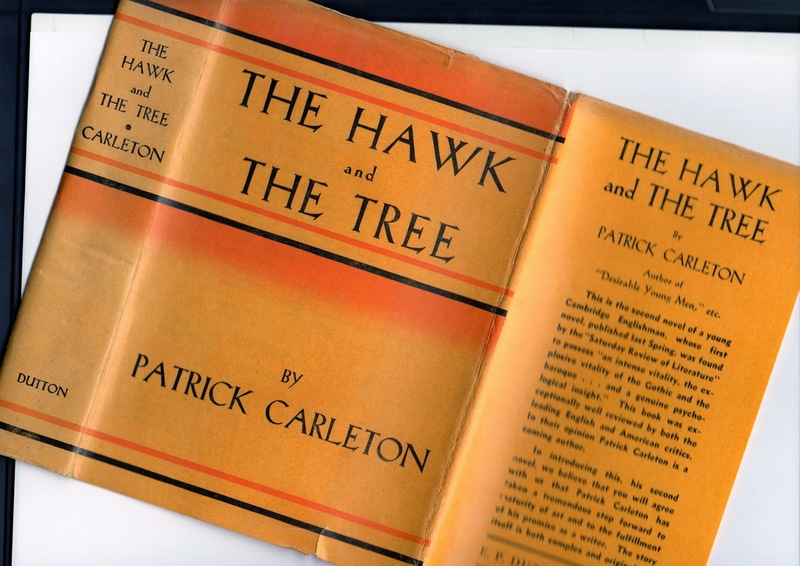 As Richard noted, Carleton had also written novels for Allan, and so that must have been how he came to be included in the collection. But who was Patrick Carleton? Championed by the eminent ghost story anthologist and scholar Richard Dalby, Lewis’ work has seen a revival which has included the hardback editions from The Ghost Story Press in 1994 and 2003, and now a paperback reprint (Shadow Publishing, 2014). Dalby, in his introductions, describes how he traced Lewis’ widow, and learnt from her of some of the author’s interest in the esoteric and occult, and also of the effect on him of certain hallucinations, and visions, which seem to have even led to spells in an asylum. Another occasional visitor, much more to Mr Glowry’s taste, was Mr Flosky, a very lachrymose and morbid gentleman, of some note in the literary world, but in his own estimation of much more merit than name. The part of his character which recommended him to Mr Glowry, was his very fine sense of the grim and the tearful. No one could relate a dismal story with so many minutiæ of supererogatory wretchedness. No one could call up a “raw-head and bloody-bones” with so many adjuncts and circumstances of ghastliness. Mystery was his mental element. He lived in the midst of that visionary world in which nothing is but what is not. He dreamed with his eyes open, and saw ghosts dancing round him at noontide.